For many charities, negotiating complex property leases or dealing with difficult HR issues can have a serious effect on their day-to-day work simply because they lack the financial resources and capacity to deal with them. Thanks to our pro bono network, several charities have been able to access free expert legal advice with law firm CMS. CMS is a long-standing pro bono supporter of Inspiring Scotland and the relationship has grown and evolved over many years. Inspiring Scotland’s relationship with CMS is primarily with the CMS Scottish offices, and with its award-winning Glasgow team in particular. Chris Rae, CMS Partner specialising in the Real Estate and Construction sector, and pro bono Partner for CMS, leads the relationship with Inspiring Scotland. Chris has grown to become the ‘go-to person’ for all property-related matters. Chris has a remarkable capacity to process the information very succinctly and in great detail, usually by return. He has a remarkable talent for getting right to the heart of what can often be best described as “landlord friendly” contracts, instantly saving our organisations a huge amount of precious funding, and substantially reducing the risks they face had they not asked for pro bono assistance. Beyond property needs, Chris has recently involved other partners and specialisms from the broader CMS team. CMS offers a fast, effective professional service and we have deployed their expertise to help us with third party negotiations, closing financial contracts and with human resource planning. The relationship with CMS offers much greater security and oversight on business matters while giving a very professional view of our organisation to external agencies. The pro bono service through Inspiring Scotland has enabled Street League to reduce necessary operational and legal costs and therefore ensures more of our funding reaches front line services. 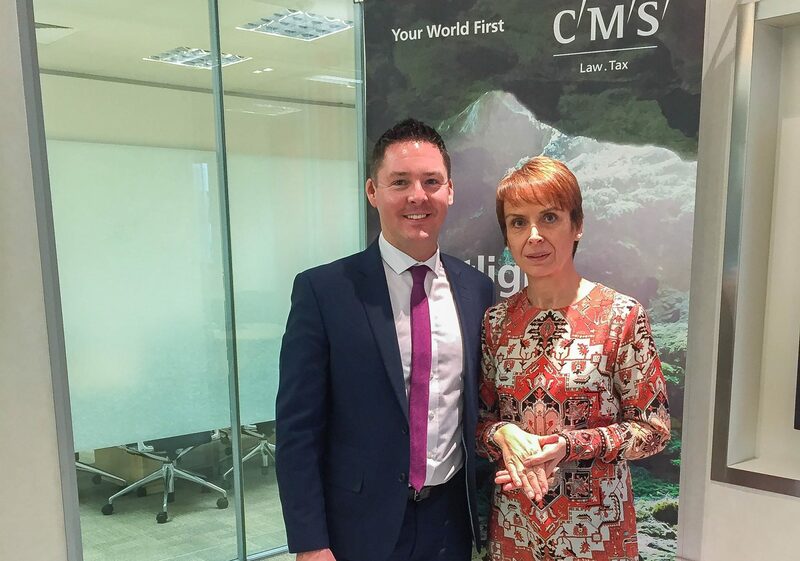 And the generous support of CMS and Chris Rae does not stop there: CMS very kindly permit Inspiring Scotland to regularly host meetings and seminars in the CMS offices in Glasgow, Edinburgh and Aberdeen. This use of high-quality city centre office space delivers massive value to Inspiring Scotland. Chris has also organised introductory meetings with potential new pro bono partners who may be able to deliver a broader range of support beyond legal services to Inspiring Scotland, the potential value of which is enormous.